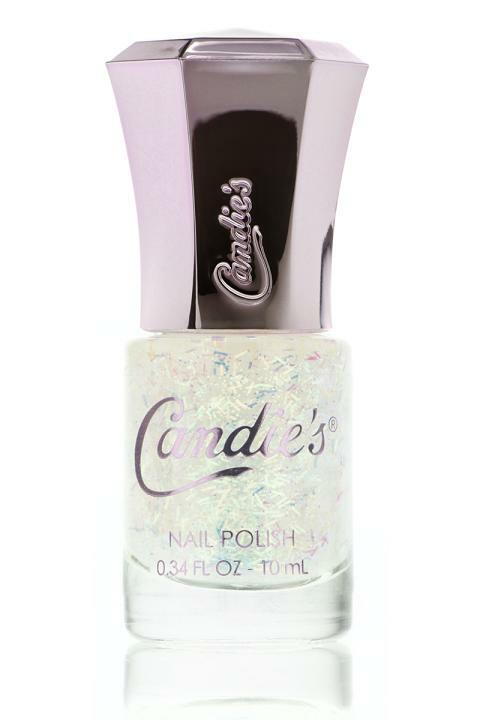 Candie's Fashion line has expanded into beauty with a line sold exclusively through Kohls department stores. The packaging is really fun a looks great on a dresser with its tall crown shape, flared at the top, and in a rosy metallic shade. While you may have already picked up a few new nail shades for this spring/summer - these are two glitters that are worth a little extra investment to not only freshen up a basic manicure, but also pair with just about any new shade you have to make it truly fun! The first one I love is called White Noise, (pictured, above), which is a glitter polish in which they are shaped like long bars. The glitter is in a clear base and two coats really makes a "confetti" type effect on the nails. This shade is really nice for nail art projects, or just to add over your basic pinks, red or bold dark shades like blue or green. The color of the flakes are holographic so they take on many colors - like pink, blue and green. I really love this one. As far as removal, they took a bit more "elbow greese" and remover than standard polish, but they weren't horrible to take off. The next unique glitter in the line is called Over The Rainbow (pictured, below). 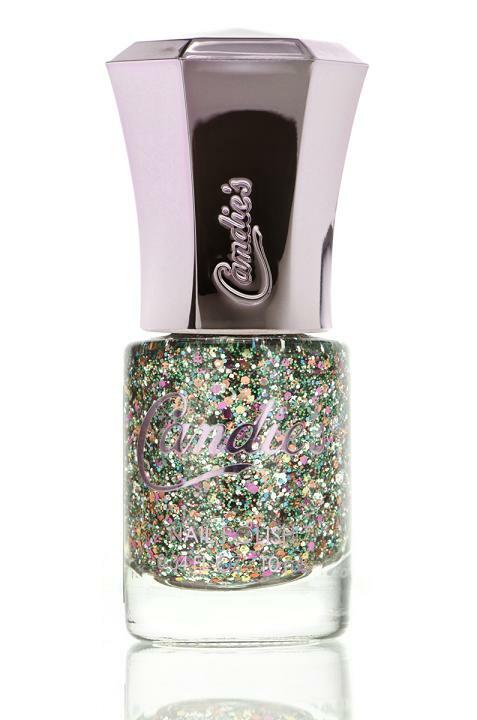 This is a glitter for real impact - it's a multi glitter which is a mix of hexagonal and small round glitter shapes in a color palette of silver, purple, pink, and green. This looks great on a bare nail, as well as over silver metallic or pale shades of polish - this one is a real conversation piece! The prices are also great! Only $8.00 right now at Kohl's. *These products were provided courtesy of Candie's PR for reviewing purposes.